IBM Cloud Resiliency Orchestration can simplify DR automation with real-time DR readiness validation and increase situational awareness that can reduce test times and RTO, resulting in a more cost-effective DR experience that is smarter, more tailored and more agile than ever before. Today’s business environment has near-zero tolerance for service outages and disruptions. It can be a difficult balancing act to manage disaster recovery, especially in a dispersed, hybrid environment, with cross-platform resource usage, availability, scalability and performance requirements. IBM Cloud Resiliency Orchestration provides disaster recovery monitoring, reporting, testing and workflow automation capabilities of complex hybrid environments in a scalable, easier-to-use solution built on industry standards. The service combines automation and analytics for faster, more cost-effective disaster recovery (DR) to help keep daily business operations running and to proactively avoid disruptions that lead to lost revenue, brand damage and dissatisfied customers. IBM Cloud Resiliency Orchestration offers a unified DR management approach that delivers real-time DR readiness validation. The service provides a web-based central management dashboard that allows monitoring and management of all DR operations – including DR tests, reporting, failover and recovery for physical or virtual systems. Clients can replicate data, applications and operating systems from their production environment to a securely managed service-provider facility, where business applications can failover to a production-ready environ- ment in the event of an outage at their primary facility. 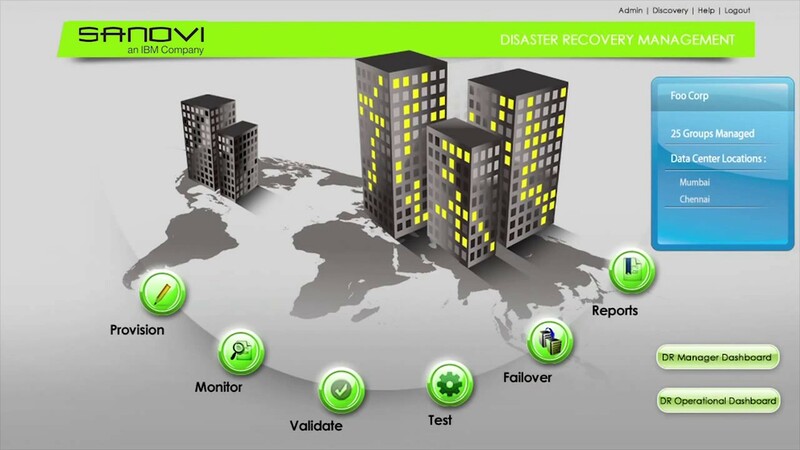 Day-to-day DR operations covering monitoring and management is performed by IBM Resiliency Services. In the event of a disruption, the client is notified based on their DR policies and provided with compliance reports via the dashboard.